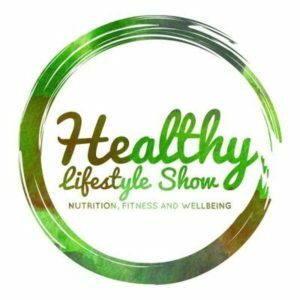 A packed programme of speakers and a charity partner has been unveiled for the Healthy Lifestyle Show, at the Telford International Centre, on March 25. Visitors will hear from 12 speakers and experience six workshops at the event which is expected to attract up to 2,000 visitors and 100 exhibitors. Among the speakers will be Aaron Clark, of Mental Health Muscle, a mental health charity which has been given a free space at the show by organiser, Sarah Lewis. Aaron is joined by a varied range of speakers designed to inspire and inform audiences at the event. Many of the speakers at the event are from Shropshire, including Caroline Rolling, specialising in handling stress and building personal resilience, Jan Minihane, who will talk about a Paleo diet, Claire Mckeown, speaking on the law of attraction, and workshops also feature local specialists, with a cookery demonstration by Lajina Leal, of Lajina Masala, Debbie Copner of Yoga One Shropshire, Anna Gillions, who will host a Mindfulness workshop, and Suzi Drew, demonstrating healthy meals for busy mums. “The event showcases many of the best health advisers from Shropshire and the wider West Midlands area,” added Sarah. “We are offering a full day out at great value, with tickets from £6 for adults and free entry for under-15s.” Tickets are £6 in advance and £10 on the day. There are limited opportunities for traders still available, Businesses looking to get involved should contact the Healthy Lifestyle Show by emailing bookings@healthylifestyleshow.org.uk. Newport, Shropshire, based Sarah is the owner of Sarah Lewis Enterprises Ltd The business organises outside events and festivals across the Midlands, including masterminding executive catering and a Vintage Village at the Cosford Air Show in 2017. Tickets are available via the Eventbrite online platform – www.eventbrite.co.uk/e/healthy-lifestyle-show-telford-international-centre-tickets.